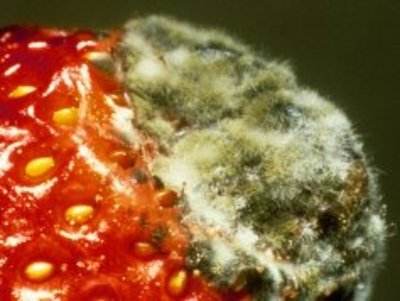 Powdery mildew is a common disease on many types of plants such as marijuana, strawberries, tomatoes, artichoke, cucumber, lettuce, peppers, squash etc. There are many different species of powdery mildew fungi (e.g., Erysiphe spp., Sphaerotheca spp. ), and each of them only attacks specific plants. Powdery mildews grow well under humid moderate conditions, however they also establish in dry and warm climates. 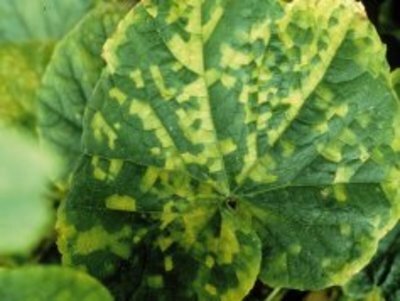 Powdery mildew is an easy disease to identify. It first appears as white spots on leaves and stems which over time become larger and spread up and down the length of the plant. Powdery mildew may cause the leaves to turn completely yellow and die, and sometimes my result in reduced yields, shortened production times, and produce that has little flavor. Prevention is always the best method of control. Planting in the full sun, and following good cultural practices will adequately control powdery mildew in many cases. However, succeptible plants may still require fungicide treatment. HydroWorxx Disease Control is proven to be very effective using low rates of copper. It prevents fungal diseases from growing and spreading, allowing new growth to be disease free. It is also OMRI listed for organic gardening. Downy mildew causes light green to yellow angular spots on the upper surfaces of leaves and white fluffy growth of the fungus on the underside. With time these lesions turn brown, dry up, and may die. Older leaves are attacked first. Downy mildew gets its name from the downy masses of spores it produces on undersides of affected leaves. These downy growths are often confused with powdery mildew despite several major differences between the two diseases. 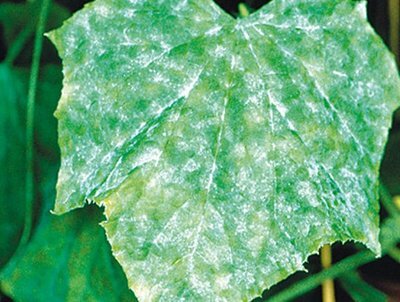 Unlike downy mildew, powdery mildew covers both the lower and upper sides of the leaf. Downy mildews are prevalent in cool, moist conditions while powdery mildews thrive in warm, dry conditions. While powdery mildew appears in chains on a single stalk, downy mildew spores are formed on branched stalks that look like small trees. With time white, dusty growth of powdery mildew spreads over the whole leaf. On contrary, downy mildew infections spread in clear veinal lines of a leaf. The best way to prevent downy mildew is to avoid the environmental conditions that favor it. To minimize the disease keep your crops from humid conditions and overwatering. Allow for freely circulating air and try to adjust planting times as the disease thrives in cool, moist weather in early spring and late fall. Remove infected crop waste and susceptible plants before planting a new crop. Fungicide sprays may be required for succeptible crops in conditions conducive to downy mildew growth. HydroWorxx Disease Control is effective for control of downy mildew. It is for organic gardening and can be used up to the day of harvest. Gray mold or Botrytis cinerea is one of the most common fungus that may damage any part of a plant. It easily appears on crops that have been affected by insects, snails, frost, or other factors and spreads, causing damage to healthy parts of a plant. Infected areas turn grey and then brown, causing a crop to wilt. Grayish webbing may eventually appear on infected parts of a plant releasing fuzzy spores. Botrytis rot is most common in humid conditions. Make sure that plants are placed in a well-drained area; avoid overwatering or watering right before the end of the day. Promoting good air circulation in the area blowing through the crops will help prevent moisture build up. Should you begin to see sign of botrytis remove the infected area immediately and ensure not to contaminate other plants. Then follow up with a treatment of HydroWorxx Disease Control, HydroWorxx have been proven to be effective in controlling botrytis and protecting your buds and flowers. HydroWorxx is OMRI listed for organic gardening. Black spots develop on the upper surface of leaves and stems. Usually small in diameter, on severely affected crops they may combine in one large black mass. Black fruiting bodies often occur in spots, and yellow areas develop around them. If left untreated, black spot may cause weakening of a plant and losing leaves. The reproduction and growth of black spot fungus on leaves requires the presence of water. 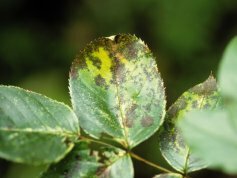 Allowing leaves to remain wet for more than 7 hours will encourage black spot. Water your crops in the morning to allow them to dry by midday to prevent this disease. Encourage good air circulation and remove fallen leaves and other infected debris. Copper based fungicide sprays can work well. HydroWorxx Disease Control is proven to be very effective. It prevents black spot and other fungal diseases (see product label), and is OMRI listed for organic gardening.